My wife, Lynne, and I have been residents of Edgewood since 1974 and have reared four children here thus witnessing and enjoying the growing up years of a full generation of residents. Prior to being elected Mayor in November 1993, I served on city council from 1976-1982 and 1990-1993. I have also served as president of the Northern Kentucky Municipal Government League, Manufacturing Agents of Cincinnati, Northern Kentucky Area Planning Council, Covington Catholic Boosters and the St. Pius X Holy Name Society. 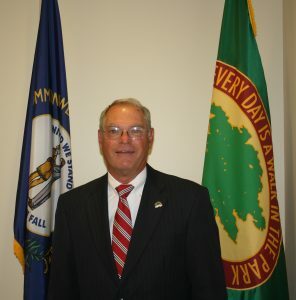 I have served as a member of the following organizations: OKIRCOG Representative, the Kentucky League of Cities – Legislative Committee, the National League of Cities – FAIR Committee, Kentuckians for Better Transportation, Disaster Emergency Services, Knights of Columbus, Edgewood Fire District, and the Sanitation Districts Committee for Storm Water Run Off. I was also elected as the Outstanding Elected Official in 1998. Since taking the oath of office in January 1994, I, and the city staff, have endeavored to serve, to protect and to improve the quality of life for the people of Edgewood. Our city has a residential population of approximately 8,500 but with seven schools, a hospital and a neighborhood business community, our service population is substantially larger. 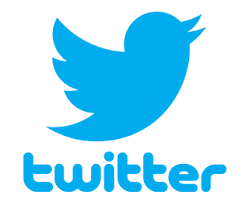 I invite and encourage you to view our website in order to become better acquainted with the city. All coming city sponsored events and recreational activities will be listed as they are finalized so you may see first hand what may be of interest to you and your family. Whether you’re a resident or visitor, if you have any suggestions please contact us either by phone or through this website. Thank you visiting www.edgewoodky.gov and please, come often. Ben was appointed to Edgewood City Council in October 2013. A lifelong resident of Edgewood and member of St. Pius X Church, Ben attended R.C. Hinsdale, St. Pius X School and Covington Catholic High School before earning his architecture degree from the University of Kentucky. He is a licensed Architect and has worked for GBBN Architects since 1994. He and his wife, Carrie, have 4 children, Ellen, Caroline, Jenna and Henry. In addition to serving on council, Ben volunteers with the Northern Kentucky Chapter of the American Institute of Architects, the Boy Scouts of America Dan Beard Council’s Board Nominating Committee, KET’s Northern Kentucky Board, St. Elizabeth Hospital’s Young Professionals Fundraising Board, and serves as chair of St. Elizabeth Hospice’s Strides for Stars 5K and as vice president of Brookwood Swim and Tennis Club. He enjoys making memories with his family at the swim club, renovating their mid-century modern home on Brookwood Drive, restoring antique automobiles and researching family, as well as local, history. 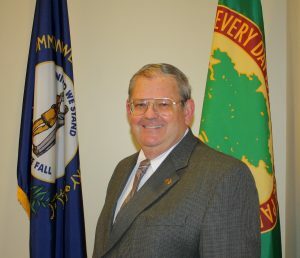 Dale Henson has served on Edgewood’s City Council since January 1995. He is a CPA and is currently employed as the Chief Financial Officer for the Diocese of Covington. Dale graduated from Eastern Kentucky University with a BBA in Accounting. He worked for several state agencies, including the Departments of Education, Human Resources and Parks, before pursuing a career in the private sector in 1985. Dale and his wife, Karen, have lived in Edgewood since 1991 and have two grown children, Bob and Lauren. Bob, married to Shannon, is a teacher at Villa Madonna Academy. Lauren, married to Steve Koehler, currently works for the Cincinnati Children’s Hospital Medical. Dale enjoys being involved in the community and currently serves as Edgewood’s representative on the Telecommunications Board of Northern Kentucky, where he has served as both Chairman of the Board and Treasurer. 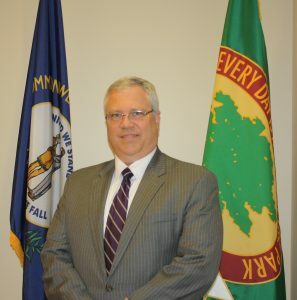 He also serves as a board member of the Thomas More College Board of Trustees as well as a member of the Board of Directors of Senior Services of Northern Kentucky. Joe Messmer- has served on city council since 2008. He has been a member of the Edgewood Volunteer Fire/EMS Department for 45 years. He served as chief for 26 of those years. Joe is a member of St. Pius X Church, and attended Covington Catholic High School. For 20 years Joe has been President of the business his father started in 1957. His business is located here, in Edgewood. He and his wife, Linda, raised their family here. Both of their children are now married, their daughter lives in Boston, MA and their son and his wife bought their first house…in Edgewood. Jeff Schreiver was elected to city council in 1995. He is vice president of his family’s 79 year old business, Swan Floral and Gift Shop Inc.
Jeff is a lifelong resident of Edgewood and claims that the quality of life in the city has never been better. Married to his wife Kitten, they have two sons, Jacob and Jaret and are very active in the community. Besides city council, Jeff is chairman of The Edgewood Historical Society and volunteers for the recreation board. Active in his church parish, Jeff is also a member of the St. Pius Athletic Association and coaches his son’s two baseball teams. Moving to a house on Madonna in 1976, Rob Thelen has spent most of his life in the City of Edgewood. Rob has many fond memories of those early years while attending RC Hinsdale and Turkeyfoot Middle School. 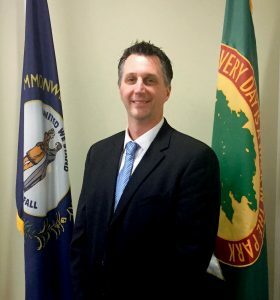 After graduating from Covington Latin High School in 1988, Rob went on to obtain Bachelor ‘s degrees in History and Organizational Studies from Northern Kentucky University. Rob and his wife Cara moved to Independence to start their young family in 2000. 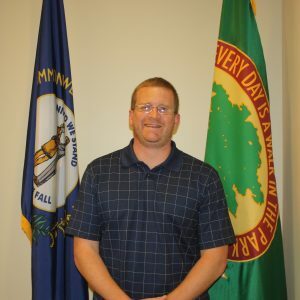 While continuing his career as a Senior IT Project Manager, Rob went back to NKU in pursuit of a Master’s Degree in Public Administration and a Certificate in Non-Profit Management, graduating in2009. When an opportunity to move arrived, Rob and Cara knew there was only one place to consider. So in the Spring of 2011, they moved their family to a home on Ridgetop Way and have lived there ever since. Rob enjoys coaching his son’s baseball and basketball teams and staying active playing sports and volunteering with the Edgewood Recreation Committee. 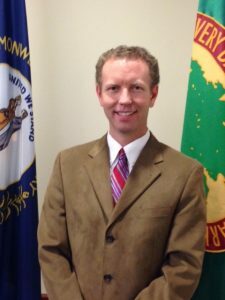 Tony Ward was elected to city council in 2012. He is a lifelong resident of Edgewood and member of St Pius X Church. He attended St Pius X School and Covington Catholic High School. Tony received a Bachelor of Science in Civil Engineering from the University of Cincinnati and a Post Bachelor Certificate for Orthotics and Prosthetics from Northwestern University. Tony is currently employed in the City of Edgewood at Durrett’s O and P Services. Tony is married to Suzie; they have 4 sons, Michael, Isaac, Ryan and Evan. He is an active volunteer in our community and for his profession. He enjoys spending his summers at Brookwood Swim & Tennis. 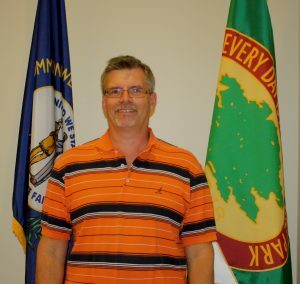 Kim was appointed to fill a vacancy on City Council in September, 2018. She has lived in Edgewood since 1978 and attended R.C. Hinsdale, St. Pius X, and Dixie Heights. 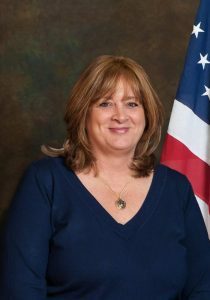 She is a parishioner at St. Pius Church.Kim retired from the City of Edgewood in 2011 after twenty-one year’s of service; five years as Deputy City Clerk and sixteen years as Recreation Director. She is currently employed as a part-time Community Event Planner for the City of Erlanger. Kim and her husband Joe have two daughters, Christine and Elizabeth.